How I sold 1,000 copies of my book in three months (and maybe you can too). If you’re like me, a relatively new author without a strong “platform,” no real fan base yet, and no influential connections so far to help promote your book, trying to put together a plan for selling it can be daunting. And if you manage to put something into action, how many copies should you expect to sell? A thousand? Twelve? None? The goal I set for my novel Where the Hell is Tesla? was 1,000 copies sold in three months. And I did it. Here’s how. If 1,000 copies in three months doesn’t sound like a lot, you’re right. It’s not. You can’t live on the profits from selling 11 copies of your book a day. But the average book now sells only 250 copies in an entire year, so my goal was actually pretty aggressive. I’m not a book marketer. I’m a writer and a publisher. 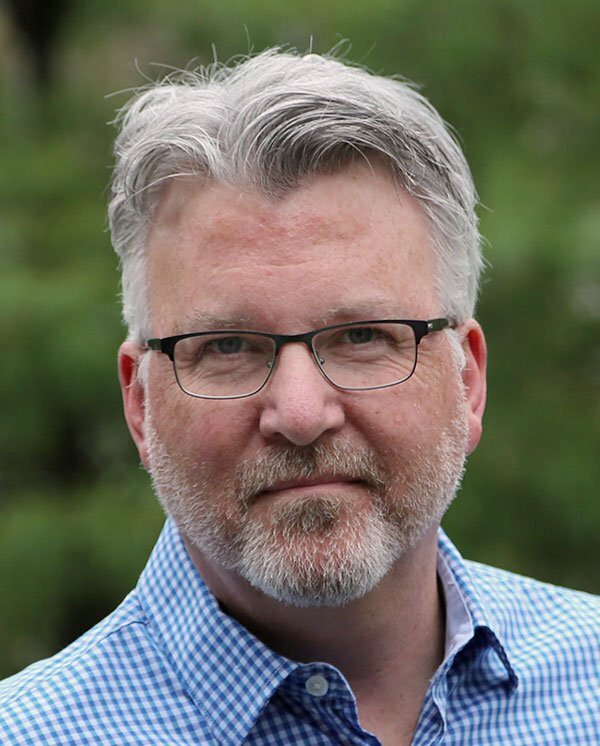 I’ll leave the marketing thinking to people like Tim Grahl, a book marketing consultant who’s helped New York Times bestselling authors for years. Since I’m not a marketer, this is not a how-to-sell-1000-copies tutorial. This is my story, so far, for one book, and if you’re in a similar situation, I hope this post can help spark some ideas and sell a few more copies for you. My goal was copies sold, not money earned. I spent money to sell copies. I still came out ahead. If you’re looking to launch a book without spending money, here’s a better way to do it. My goal was copies sold, not copies given away. Free promos, through Amazon’s KDP free promotions for example, can get a LOT more copies into readers’ hands. But my opinion? Meh. If you read this and get the idea “hey, everything this guy did worked,” you’re wrong. Most of what I tried didn’t work. Some did. If you want information about the stuff that didn’t work, contact me and I’d love to regale you with the 99 things I’ve learned not to do when launching your book. Okay, let’s move on with the “pre-launch” stuff. 1. I wrote the book. Before you can sell any copies, I’m going to assume you’ve written your book and published it. And I’d like to emphasize written. Where the Hell is Tesla? took me a year to write. It went through numerous revisions. I was correcting typos until the day before it launched. So make sure your primary goal, even before selling copies, is to craft a well-written story that will connect with readers, and make them laugh, or cry, or shiver with fear, or whatever. That’s the real point. 2. I set up my website, book landing page, social media, and Amazon pages. I’d tell you all about how to build your own website in an hour, but Tim Grahl has already done that. So if you need to, check out his post and go to town. For my book, I use Goldfinch Publishing and RobDircks.com to help promote it, both WordPress sites. Contact me if you have any questions. For social media, I’ve heard many people advise this and I’ll tell you the same thing: don’t overdo it. I have a full time job, I write and publish on the side, and even with just Facebook and Twitter, this book promotion thing was at times testing my productivity limits. So I stuck with those two, and I’d say go with the one or two that feel right for you. For example, if you’re creating a graphic novel — very visual — maybe Facebook and Pinterest would be your thing. Journalist writing non-fiction? Twitter. For my Amazon author and book pages, I could get very detailed, but here’s the quick: Use the spaces Amazon gives you. Don’t leave things blank. Put plenty of key phrases in your book description and keywords list on your book sales page on Amazon. Hook up your author page to show your latest blog posts and tweets. Use what they give you. Then I started blogging, posting, and tweeting. I’m not the best at this, but I’m trying, and I’m getting somewhere. And I think it’s helping sell copies. 3. I got more active on Goodreads. Goodreads.com is a great site for authors and readers to connect. I joined new groups, contributed more often, and as you’ll see below, shared copies with groups, including print, digital, and audiobooks in exchange for even more reviews. 4. I lined up 25 Amazon reviews before launch. Contact 75 people you know and offer them a free advance digital copy of your book in exchange for an Amazon review. Remind the people who say “yes” a couple of times, giving them time to finish reading it if they’ve procrastinated. On launch day, send these people your book page link with instructions. If it works, you’ll get 25 reviews. I did. Get a few close friends to upvote (honestly) some of your favorite reviews, so they stay on the book’s sales page as “most helpful,” not buried. 5. I published my book. I plan to post a crash-course on formatting and publishing your book for print and digital editions, but I haven’t written that post yet, and I might never do it because there are a million resources out there that explain how to do it already. Of course, if you’re not the self-publishing type, that’s sort of the reason for Goldfinch Publishing. Contact me and I can help you edit, publish, and promote your book. Even if you want to do it completely on your own, I’m here to help. Now, on to the “post-launch” stuff. 6. I enrolled in KDP Select to take advantage of Countdown Deals and KU/KOLL. KDP Select (the KDP stands for Kindle Direct Publishing) incentivizes you to sell digital copies of your book exclusively through Amazon, in exchange for the ability to run their free promotions and Countdown Deals. From my first book, Unleash the Sloth!, I learned that 95% of my sales were coming from Amazon. So for this book, I decided to go exclusive and take advantage of the KDP Countdown Deals. My book is priced at $3.99, and the Countdown Deal allows you to price it temporarily at a discount – I chose $.99. I was able to time it so I got two countdown deals in the first three months, and timed my book email promotions (see #9) to sync with them. These represent, unsurprisingly, the two largest spikes in sales in those three months. With KDP Select, I also earn royalties (counting as paid sales) on Kindle Unlimited and Kindle Owners’ Lending Library, which is not an insignificant number. 7. I gave copies away. I know I just said that my goal wasn’t to give away free copies. And mostly I’m not sure what they do for me. But the Goodreads Giveaways are great. The site is for serious readers and authors, and you will get thoughtful reviews, likes, friends, and even enough of a rapport to get some fans onto your email list. (Oh, the email list thing — I’ll get to that in another post. It’s a work in progress.) And when one of these Goodreads members posts a review, all their friends see it. In addition to the official Goodreads Giveaways, I’ve offered both free ebooks and free audiobook codes to the folks on Goodreads, inside groups. Posting a free offer in exchange for a review (in the appropriate places, not spamming the whole site) has worked wonderfully in getting reviews, and has definitely helped sell copies (even more so for the audiobook). 8. I begged for exposure. This one kind of worked. If you read Tim’s book Your First 1,000 Copies, and put it to work, you’ll do better than me. (And I’ll do better next time, promise.) But luckily, a few things have dropped into place, and I’ve been interviewed for a couple of websites. I think the super-quick on this is to find people you know, or second-degree connections, or good targets, who have an audience of their own. Make the right request to them, and give them something that makes it easy for them to help you, like guest posts, podcast participation, and interviews. 9. I used paid promotions. Until I can fully leverage my own audience, and the audiences of influencers that I connect with, I’ve supplemented my own efforts with paid promotions. And largely, it’s worked. Mostly I used book promotion sites that list deals, and send out daily emails to subscribers. Some post to social media as well. BookBub – actually, I haven’t been able to get on this one yet. They only send out a small number of books in each email, and they’re very selective. Boo-hoo. I’ll keep trying. BookGorilla.com – Cost $50. Sold lots of copies. Made money. FussyLibrarian.com – Cost $15. Sold a bunch of copies. Made money. BargainBooksy.com – Cost$35. Broke even. Facebook ads – Cost up to $5 a day. Great for exposure. Sold some books. I wouldn’t bet the house on it. Google ads – Cost up to $5 a day. Great for exposure. Sold some books. I wouldn’t bet the house on it. I won’t list the ones that tanked, as I don’t want to slam a service that might just not have worked for me. But if you’re interested, let me know and I’ll give you the dark details. 10. I created an audiobook. This one’s kind of funny. I really created the audiobook just to see if I could do it, and to make my Amazon book page look more complete. But boy was I surprised! It has sold way more than I expected, with no direct promotion at all. (Although I did offer free audiobook codes on Goodreads.com and got a terrific response. Have I mentioned that Goodreads is great?) If you’re interested, here’s my post about how you can produce your own audiobook. ★★★★★ “Best Tesla-inspired Story In the Audio Stacks” — Fictionalized Tesla stories were in vogue a couple of years ago, but after listening to a few of them, I decided to forego purchasing any others because, far too often, they seemed overworked and boring. They took themselves, science, and Tesla wayyy to seriously. Tesla’s real life story held more intrigue than many of the fictional versions did. When I found the Dircks story, I listened to the excerpt out of a strange compulsion, possibly from mental programming from all the past Tesla tales. I’m glad I pushed the play button on this one. In my opinion, and despite all of the obligatory “dude” vulgarity, Dircks has written a laugh-out-loud, can’t stop listening story in which Tesla is given his due as a futurist and scientist, well ahead of his time. Chip and Pete are also fun characters with the type of “bro” friendship that would play well in a feature film. This is a slick, well-told tale. Could it have been told with less use of the “F” word? Absolutely. The potty humor was a bit overdone too. However, a real argument can be made that the characters are people we know and they certainly ring true to life, no cardboard stereotypes here. So,it’s all a matter of staying true to the characters, and the author did that. I’m hoping this is the first in a series. Would love a “What the blank Is Einstein Thinking?” or “Don’t Trust Edison!” If he could pull off the same kind of madcap, LOL intellectualism that he managed in the Tesla story, Dircks might just be the inventor of a new and very popular genre. After all the writing, editing, posting, promoting, and tallying, I reached 1,000 copies sold of Where the Hell is Tesla? and took a moment to celebrate. And then another. Pretty soon I was stinking drunk. There you have it. If you’re on a similar path, I hope this post sparks some ideas. And if you have any questions at all, please don’t hesitate to reach out and ask me. I’m here to help. Which paid promotions did NOT work, please, so I know which ones to avoid? Subscribe to keep up with all things writing, publishing, and audiobooks. Listen To The Signal: Short Stories Volume 1 – Now Available! Madeline McEwen on Yes, You Can Record Your Own Audiobook. Here’s How. 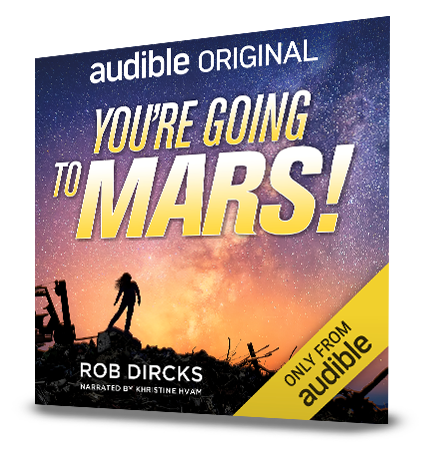 Rob Dircks on Yes, You Can Record Your Own Audiobook. Here’s How. Farooq Ahmed on Yes, You Can Record Your Own Audiobook. Here’s How. Ron Myers on Yes, You Can Record Your Own Audiobook. Here’s How.